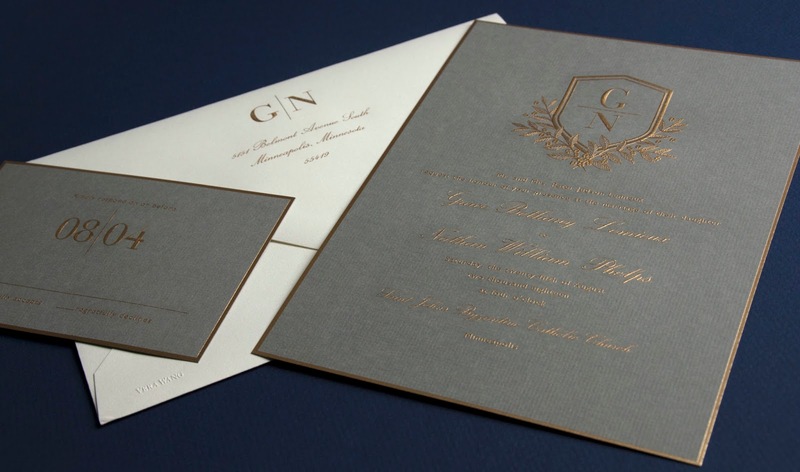 "We’re seeing a remarkable nod to elevated timelessness and regal beauty. Fresh modernity is executed with more minimalism, and palettes are more refined. (I keep thinking about Jane Austen and Massimo Vignelli.) This dichotomy is a reflection of the Vera Wang Bridal and Ready to Wear collections, from gorgeous, impeccable laces and textures to sleek and modern tailoring. The translation to stationery felt natural." Fresh and Modern: A sophisticated duogram typestyle and grey paper. Regal and Refined: Whimsical wildflowers and an elegant gold border. 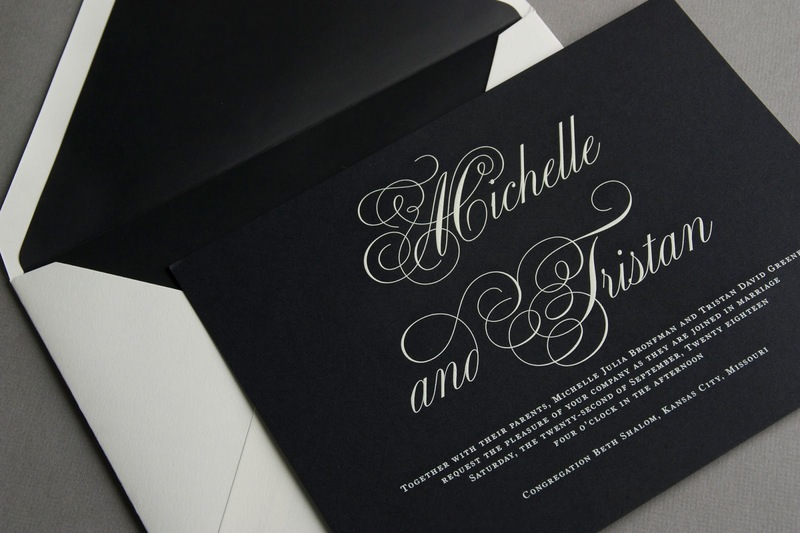 Fresh and Modern: Black card stock and brilliant white engraving. Regal and Refined: A flourish of exquisite calligraphy. Fresh and Modern: An oversize square shape. Regal and Refined: Stunning flourished type. 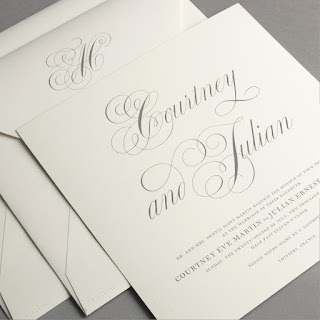 View all our new 2016 Vera Wang On Weddings invitation designs.